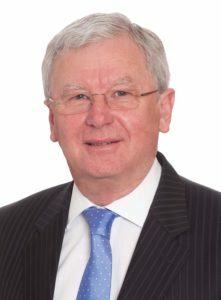 Dr Sheldrake has been part of the NSW public sector’s senior executive service since 1993 and has been Director General of a number of NSW departments since 2002 until his retirement in 2013. Dr Sheldrake’s passion for this area has seen him hold many positions including Commissioner of the Murray Darling Basin Commission, NSW Commissioner for Soil Conservation, Director of the Pig Research and Development Corporation, Director of Animal Health Australia Limited and Chair of the Primary Industries Health Committee. In 2013, Dr Sheldrake was made a Member (AM) in the general division of the Order of Australia. He was recognised in the honours list for “significant service to public administration in NSW, and to the community”, principally around agriculture. During 2016-17, he has been part of a three-person panel, reviewing Australia’s national biosecurity arrangements under the Inter–Governmental Agreement on Biosecurity. Dr Sheldrake is currently Chair of the NSW Division of the Australian Academy of Technological Sciences and Engineering, and of the NSW Committee of the Crawford Fund.